Now through the end of September, the Galician Department of Culture, Education and University Planning and Turismo de Galicia, with the sponsorship of Gadis, will be presenting a total of 371 performances in 98 municipalities throughout Galicia – one out of every three in the autonomous community – through which the different pilgrimage routes to Santiago run. The performances will continue until 30 September, coinciding with the largest influx of pilgrims and helping to enhance the tourism programme of participating municipalities. This year, Cultura no Camiño will feature eight new venues not included in 2016, the municipalities of O Barco de Valdeorras, Pantón, Mondoñedo, Sarreaus, Xinzo de Limia, Xunqueira de Ambía, Tui and Meis. The programme provides the structure for a large circuit of Galician performing arts and musical productions. It also provides an example of collective effort and institutional collaboration in order to offer the best programming possible, involving different government bodies, as well as creators, companies, managers and programmers, in a season conceived, designed and implemented by and for the public. Treixadura, Guadi Gallego, Uxía, Elefante Elegante, Cé Orquesta Fantasma, Caramuxo Teatro, Raquel Queizás, Rosa Cedrón, Pistacatro, La Tropa de Trapo, TrasPediante, Sarabela Teatro, Talía Teatro, el Mago Tetilla … these are just some of the artists who will delight audiences of all ages in these 98 municipalities throughout the entire spring and summer. By province, A Coruña has the most participants (34 municipalities and 124 performances), followed by Pontevedra (24 municipalities and 96 performances), Lugo (24 municipalities and 94 performances) and Ourense (16 municipalities and 57 performances). 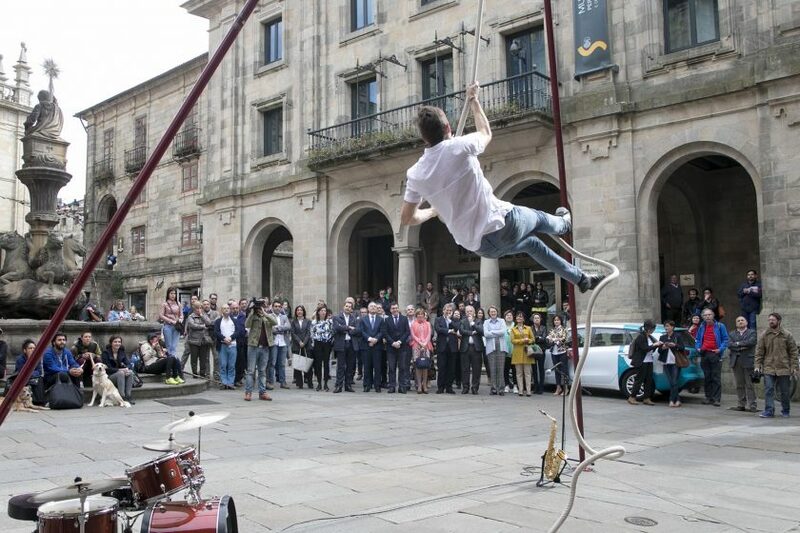 As regards the type of activities, theatre dominates, with 161 events, followed by music (102 performances), magic (69), the new circus (32) and dance (7), with all of them being productions recently produced in Galicia. The majority will be held in outdoor venues, increasing their visibility and impact in relation to cultural promotion in Galicia.